This eight days gorilla safari starts with a visit to Tooro palace, the cultural center to experience the Tooro culture. You will visit the jungles of Bwindi Impenetrable Forest to track the mountain gorillas. 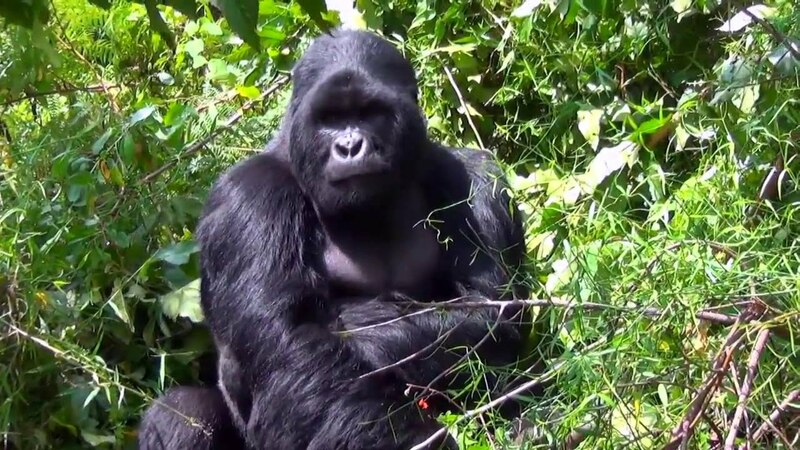 Bwindi is home to nearly more than half of the remaining mountain gorillas in the world and it is one of the best places to go gorilla trekking in Africa. Kubwa Five Safaris specializes in personalized, tailor-made travel, and your holiday will be custom-designed to suit your requirements. The experienced staff can help you design your own individualized holiday. Explore at your own pace, choose your own style of accommodation, and include your own choice of sightseeing and activities. Kubwa Five Safaris recognizes this for a fact. The success of your safari will largely depend on your driver/guide. It is because of this, that Kubwa Five Safaris has a great team of carefully selected and well-trained drivers / guides. Depending on the time of your arrival, you may be able to explore the sites in and around Kampala. Another option of the accommodation depending on your arrival time. You will stay in a nice lodge with beautiful views on Lake Victoria. The hotel has cozy safari style furnished rooms, equipped with satellite TV, fridge bar, telephone, fan, balcony with lake-view and a comfortable bathroom. Dinner and overnight will be at Cassia Lodge. Marafiki Safari Lodge is located in a unique location and has been designed and handcrafted using local materials, fitted by artisans from the local community. Overlooking Lake George in the Queen Elizabeth National Park, it offers private safari tents on raised wooden floors and canvas walls that can be rolled up to allow you to sit comfortably watching the Savannah Plains with breathtaking views across the Park and the Rwenzori Mountains. Watch wildlife from your verandah and fall asleep to the roaring of Lions on the distant savannah. This truly is Africa! Mutanda Lake Resort is perched on a Lake Mutanda peninsula in the shadow of the Virunga Mountains, the resort offers comfortable accommodation combined with the most beautiful views on planet earth. It is a perfect base for gorilla trackers, lake loungers, volcano hikers, bird lovers as well as those looking for a mystical place in nature. The spectacular Kyambura Gorge also called the “valley of apes”, is located in the eastern corner of Queen Elizabeth. The landscape is among the most impressive you will find in Uganda. Enter into the Gorge and you will be marveled by the verdant, rich tropical rain-forest right close to the equator crossing. You can make a wonderful hike here looking for chimpanzees. Chances of seeing chimps are 50% and that is why you rather call it a nature walk. Don’t miss it; the gorge is simply amazing! This trip will cost 50 USD per person. Today you will drive to Fort Portal in western Uganda. The route is incredibly scenic, passing through tea plantations and the lush green countryside which characterizes so much of Uganda. The last hour of the journey will take you through dense forest and sounds of the wild. You will be staying at a wonderful lodge, just outside the town of Fort Portal. You can spend the late afternoon relaxing at the lodge, from which there is a lovely view of the forest and its wildlife. Dinner and overnight will be at Kibale Forest Camp. Kibale Forest National Park boasts the highest number of primate species in the world, including your delightful cousins, the chimpanzees. Today, in Uganda, there are approximately 5,000 chimpanzees in the wild, which makes it a perfect place to spot them. An experienced forest ranger will take you chimp tracking in the morning or afternoon. You might also see other monkey species that live in this tropical forest. Once located, you will spend a full hour with the chimps. Since they are still wild animals, Kubwa Five Safaris can never guarantee you to see them and might have to settle for hearing their hoots and hollers. Your swamp walk (two – three hours) will take you through grassland, small communities and some beautiful scenery, where the locals are likely to greet you with enthusiastic waves. It is usual to spot three to four different primate species during this walk, though the highlight is catching a glimpse of the great blue turaco! Dinner and overnight at Kibale Forest Camp. In the morning, you can relax at your lodge, make a crater lake hike or visit a nearby tea plantation, where you will be able to assist the tea pickers and learn about how leaves are selected for the highest quality (All activities of this morning are at your own cost). You will then continue your journey to Queen Elizabeth National Park. Queen Elizabeth National Park is Uganda’s second largest park, located at the base of the majestic Rwenzori Mountain range, adjacent to Lake Edward and Lake George. The park has a prolific game, including gazelle, Uganda kob, warthog, and waterbuck. Lions are often sighted both in the park and at the entrance to the park. Be prepared for huge numbers of hippo and elephant, and keep your eyes peeled for a leopard lazing in the sunshine. In the late afternoon, you will go for a game-drive into the park. Today, you will wake up early. A little before sunrise coffee, tea, and donuts will be served in the lounge before you head out for a long game drive in time to see the first rays of light. You will search for all the wildlife in the park and are likely to come across elephant, buffalo, lion, waterbuck, leopard, Uganda kob, and many warthogs. A well-deserved brunch will be served back at the lodge in the late morning. In the afternoon you will take a boat safari along the Kazinga Channel which joins Lake George and Lake Edward. Here, you will see a lot of hippos (more than you can possibly imagine), as well as a variety of other animals which come to the waterhole to drink or bathe. You can expect to see buffalo, crocodile, bathing elephant, and a range of beautiful birds. This will undoubtedly be one of the highlights of your tour. Dinner and overnight at Marafiki Safari Lodge. After the boat-safari, you game drives back to the lodge. Dinner and overnight stay are at Marafiki Safari Lodge. Today you will drive to Lake Mutanda in the south-western part of Uganda; close to the borders with Rwanda and Congo. You cross a beautiful part of the country often referred to as ‘the Switzerland of Africa’. You will pass the country-side, bamboo forest and have great views over the Virunga Mountains. For lunch, you stop at a local restaurant (not inclusive). Your comfortable lodge is overlooking Lake Mutanda and the Virunga volcanoes on the border with Rwanda. This will undoubtedly be one of the most spectacular views you have ever seen! From here you will depart tomorrow for the gorilla tracking so it is best to get a good night’s sleep. Dinner and overnight will be at Mutanda Lake Resort. Today is the big day, prepare yourself for an encounter with one of Bwindi’s gentle giants: the rare mountain gorilla. For most people, this is the absolute highlight of their tour in Uganda. Bwindi Impenetrable Forest boasts both mountain gorillas and chimpanzees – the only forest in Africa which can make this claim, in fact. It also hosts five other species of primate, 113 species of mammal, over 200 butterflies and 360 birds. En route to the gorillas, your guide will point out signs of previous gorilla activity, including dung, nests, and chewed bamboo shoots. The gorillas you track belong to one of nine habituated family groups who can tolerate the presence of humans for a brief period every day. The time taken to track the gorillas can be as few as two hours to as many as seven hours. Your track will be an exciting journey along forested slopes, entwined vines, bushes, and bamboo before you eventually reach the gorilla family. Once the gorillas have been located, your group will be allowed a maximum of one hour with them. Coming face-to-face with a mountain gorilla is a truly humbling and emotional experience. This is a fantastic and privileged opportunity to get up close and personal with Uganda’s very own ‘gorillas in the mist’. Dinner and overnight will be at Mutanda Lake Resort. After an early breakfast at the lodge, you will drive back to Kampala or Entebbe (airport) stopping at the equator for the requisite snapshot and a bit of souvenir shopping. Accommodation for tonight is not inclusive in the program. If you wish to depart tonight from Entebbe International Airport (EBB), make sure your flight is at 10:00 or later. If you would like us to book one (or more) nights in Kampala and / or Entebbe, please let Kubwa Five Safaris know.